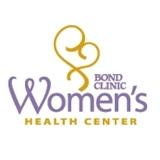 Bond Clinic Women's Center (Lakeland) - Book Appointment Online! He was great! He listened to my questions. I didn't feel stupid for asking him questions that were probably silly. He verified multiple times that I didn't have anymore questions or concerns. He was very gentle; some doctors can be a little rough. He explained what he was about to do before he did them. ie: "Im just going to put two fingers here. ok, now im going to do this..." He was very thorough in explaining how things happen. GREAT doctor! Very genuine and sweet.